Providing obedience training and overnight care for family pets since 1994. We’re located just past beautiful Temecula Wine Country. 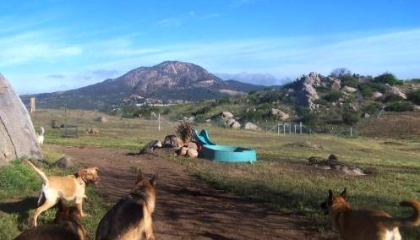 Our dog park atmosphere is a great place for your pets’ boarding, daycare, training or weight loss needs. All guests get plenty of love as well as play time, quiet time and space. We treat each dog as the unique individual we all know they are. Our training philosophy is to take a slower approach with an emphasis on repetition, positive re-enforcement and to set our students up for success. Most pets learn best with many short sessions, with play time and rest in between training. Some of the younger pets may need enforced nap times. This keeps them fresh, alert, relaxed and enjoying the process. Puppy boot camp is a complete program geared toward younger pets. Including good, basic obedience, household manners, work under distractions and socialization. Camp is fun, highly effective, and 100% guaranteed. Follow-up sessions are included at no charge, as well as free refresher training any time you board your pet. 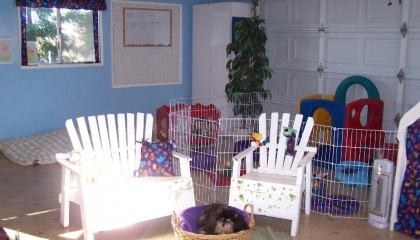 Customizing our training to your pet, we try to simulate as much of their home life as possible. This allows us to work on their house manners, guest greeting, furniture claiming, door dashing, counter surfing and any other behaviors your family has found to be unappealing. Cost for Puppy boot camp is $1,000 for guests under 6 months, and $1,200 for guests 6 months to a year. The average puppy will take approximately three weeks to complete, but each one is an individual, so it can vary. Weather can sometimes add a few days onto the program, the price stays the same. Private sessions focusing on exactly what your specific pet needs are $45. Bring two of your pets, or a friend and their pet for no extra charge, it’s more fun anyway. We offer dog training programs to fit any lifestyle and budget. Full training programs are guaranteed for life. 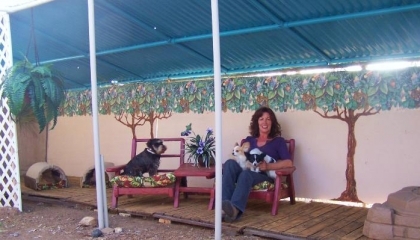 We also have individual sessions that allow you and your pet to come out here and work under the distraction of other guests, new location, horses and more in a private dog park environment. Full training camps, Individual Sessions, Adults and puppies,Healthy weight loss for dogs, no starving or gimmicks. Offering mini training camps, available Monday – Friday from $75 for the first day, $65 each day thereafter, minimum three days the first time. Call if you have any questions! THANK YOU!